Hello everyone and welcome to our EOI again! 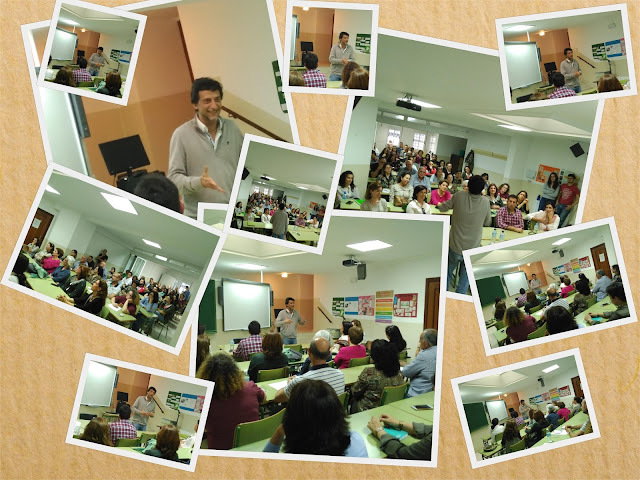 My name is Javier Rodríguez, I'm in charge of the extra-curricular activities at the EOI, and I have the pleasure to present a new activity for this course, "The Chatting Corner". 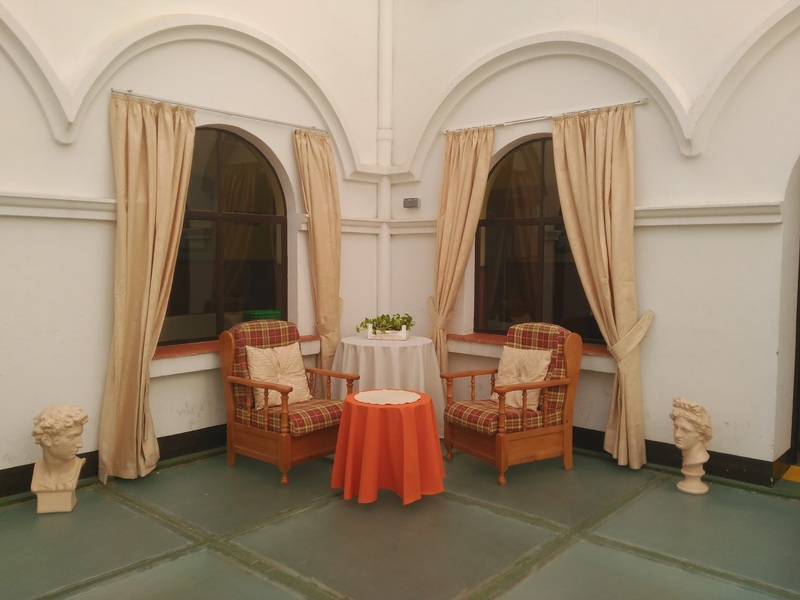 When you come to the school of languages, in the patio, you will see some sort of living room with armchairs and curtains and all!! Well, the idea is that you and your teacher can meet here every now and then, simply to have an informal conversation in a relaxed way (you may even be invited to coffee or tea!!). And for free!! Hooray! Don't panic! It's not a class, it's not an exam, you don't even need to bring a pencil!! Simply picture it as a way to put your English into practice in a relaxed atmosphere. You'll receive more information about this when classes start, so be ready to participate. But hey! there will be some other activities for all students, so remember, bring your motivation with you, not just your books!! Hola todos y bienvenidos a nuestra EOI! Soy Javier Rodríguez, encargado de las actividades extraescolares de la Escuela, y me complace anunciaros una nueva actividad para este curso, "El Rinconcito". En el patio interior de nuestra Escuela veréis una especie de saloncito con sus sofás y sus cortinas! La idea es que cada profesor se pueda traer a sus alumnos de vez en cuando para charlar, en su idioma de estudio, de una manera informal y relajada (tal vez hasta tomando un cafecito!) y gratis! No os agobiéis, no es una clase, no hay exámenes, no hay que traer libreta ni boli. Es una actividad para poner en práctica vuestra destreza oral en un ambiente relajado. Vuestro profesor os dará más información más adelante, así que apuntaos. Este año también habrá otras actividades para todos así que, recuerda! 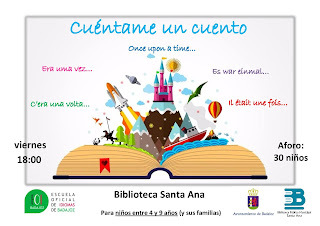 Ven a la escuela con motivación, no solo con los libros de texto. it seems the most cosy place in the eoi. I do hope I could use it the next year.